Old Father Thames was flowing apace in the wintry London downpour, but even then he was still struggling to keep up with a Manchester City goals surge that threatens to engulf all Premier League opposition. The folk God of the river that abuts Fulham’s quaint and historic Craven Cottage home, was about as much use to Rene Meulensteen’s men as King Canute, when it came to holding back a tide of sky blue attacking waves. Manuel Pellegrini’s goal gushers are plotting a course that could see them sweep aside the Premier League goal-scoring record, if they continue at their present rate of three successful strikes per match. City’s Chilean chief has long since stopped treading water as he adjusted to the hazardous whirlpool of England’s top flight. A period of adjustment was inevitable while he acclimatised and his players adapted to his methods. 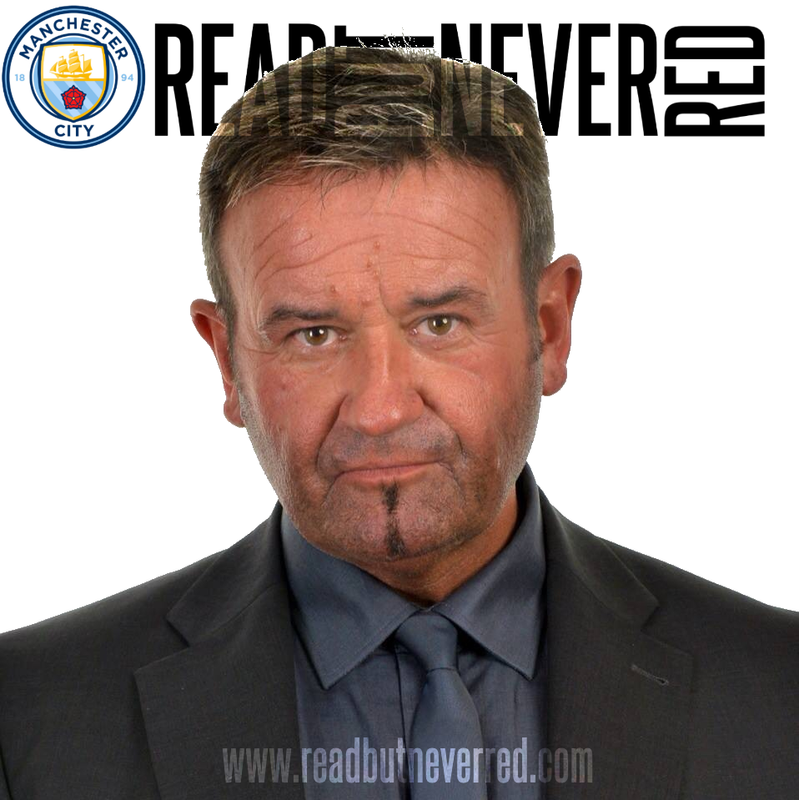 Yes, he has experienced adversity with four away defeats – the media may have picked up on this statistic, I’m not sure – but City’s current attacking style is sending opponents spiralling into an abyss of despair. Relegation-threatened Fulham were the latest victims sucked into the Pellegrini inspired vortex, as the Londoners attempts to salvage a draw went down the plug hole. The Engineer is going about his work in a conscientious and understated way, something which has clearly riled Fulham’s near neighbour, old big mouth Mourinho, who’s been busy running his chops about Manuel and his men. According to Jose, City should be out of sight with the PL all but won by now, such is the array of talent at Pellegrini’s disposal. In a not-so-subtle adolescent attempt at mind games, the ‘Special Needs One’, is trying to undermine Pellegrini and City, to distract from his own shortcomings. After losing to Stoke in the PL and going out to Sunderland in the Capital Punishment Cup quarter finals, one can understand the motives of the poisonous Portuguese prat. Jose has the sinking feeling, after all, he’s always saying he ‘sinks’ – just listen to his interviews! Is it just a coincidence that Brendan ‘Media Darling’ Rodgers should also come out with comments on the same day, saying that the title is ‘City’s to lose’ when his Liverpool side sit one point in front of the Sky Blues? Rodgers and Mourinho are old mates from Jose’s first stint at Chelski so they must be worried if they feel the need to adopt a not so stealthy pincer movement in conspiring against ‘Liddle Old Citeh’. Of course, you can always rely on rancid Alan Hansen on MOTD (Mostly Obnoxious Total Dicks) to seek to detract and undermine a free-scoring City team, which is on a trajectory to score 114 PL goals by the season’s end. City fans only tune in to see how much derision the staid BBC programme can muster, irrespective of it being a landslide home win, a victorious away day goal-fest, a fortuitous draw or an unexpected reverse. It’s now 23 goals scored in December alone, 13 points garnered from 15 so far this month and two away wins in cup competitions. Yes, Hansen, you prematurely alzheimer’s ridden empty vessel, City are clearly crap! God preserve us if Hansen’s beloved Liverpool come away with a point or points, from the high stakes Boxing Day Night shootout at the Etihad. City can only hope to give him and Merseyside’s resident rodent – the carnivorous Uruguayan cannibal – yes, you’ve guessed it, Senor Luis Suarez, the Boxing Day Paxo treatment and stuff them right up the Parson’s Nose! However, back to West London and the cocktail menu which included a ‘Yaya Special’ a ‘Captain’s Delight’ a ‘Jesus Saviour’ and a ‘James Cheerio’. Shorn of Sergio Aguero, City in keeping with Pellegrini’s football philosophy, hit four whilst still looking vulnerable at the back. It causes unease and disquiet when City concede, having been weaned on a Roberto Mancini diet of being the meanest PL defence for the past three years. Mitigation abounded yesterday with both City right backs Zabaleta and Richards sidelined, with naturally left-footed, Gael Clichy manfully trying to cover the flank. Likewise, Pellegrini continues to have faith in the worryingly slow and impetuous Martin Demichelis ahead of Joleon Lescott, in the continued absence of Matija Nastasic. Lescott is naturally left-footed and has previously formed a PL title winning central defensive partnership with Kompany, so why select the right-footed ageing Argentine? If MP persists with this selection against the fleet-footed scousers there could be cause for concern. James Milner would be a better right back selection and Lescott would bring a left-right balance to the centre. The last line of defence saw Joe Hart restored after a seven match PL absence – just what prompted Pellegrini to change from Costel Pantilimon wasn’t obvious – but with due respect to the Romanian, it was good to have the England man back. He was certainly blameless for Fulham’s brace having been left totally exposed as Richardson tapped in at point blank range and then, THE most bizarre own goal anyone is ever likely to see. Kompany was in his usual commanding form, marshalling his troops but his attempted 69th minute clearance, had to be seen to be believed. A routine clearance went horribly wrong as the skipper skewed the ball at an obscure angle, sending it sailing high and wide of an exasperated Hart. A two goal half-time lead, forged by a magnificent, now trademark, Yaya 20-yard free kick, and a stab home from six yards out by Kompany, had set City fair for the second period. David Silva had hit the bar, Edin Dzeko had been foiled by Stekelenburg in Fulham’s goal and City could easily have built an unassailable lead. 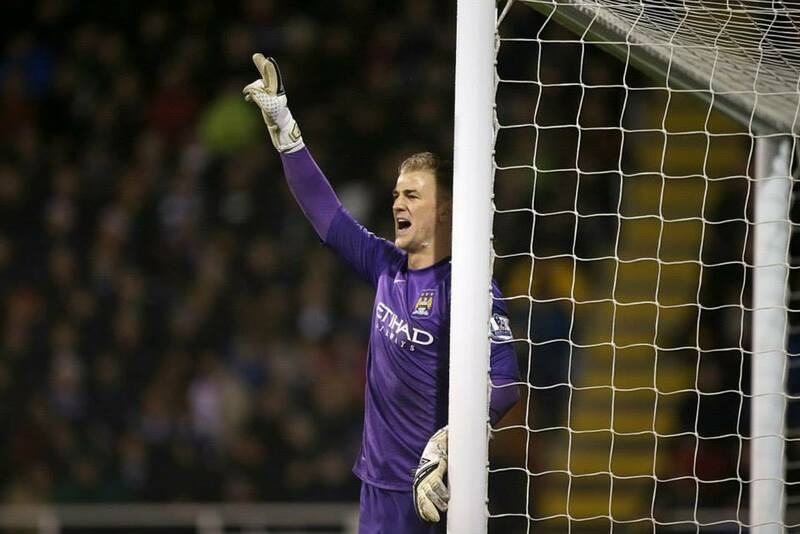 Hart had made a couple of decent stops before Fulham’s unexpected fightback. 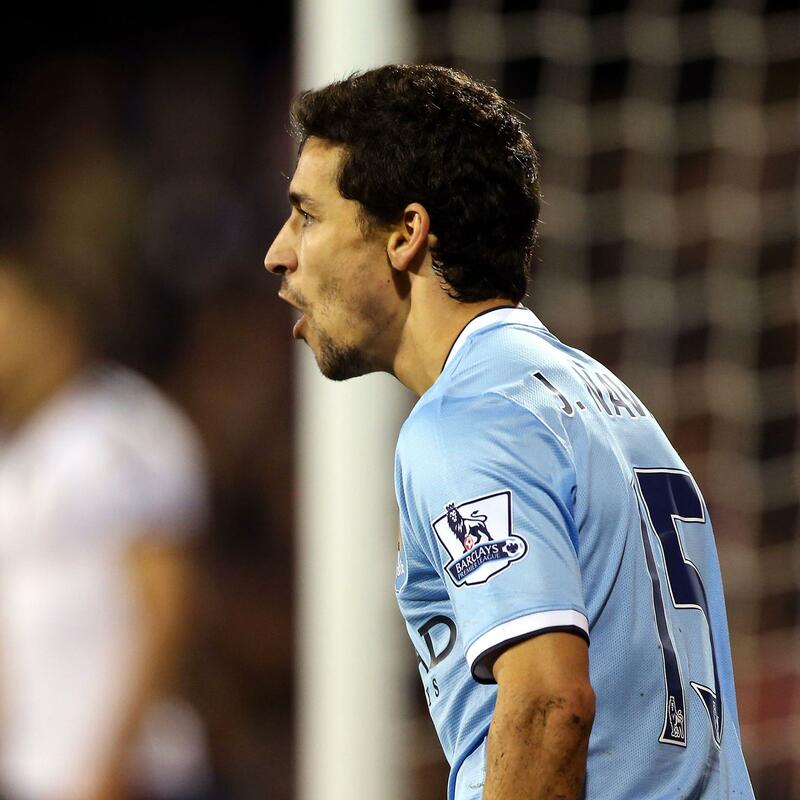 Astute substitutions saw Navas on for Dzeko and Milner for Nasri and, having come off the bench, both proceeded to restore City’s two goal buffer. Jesus was ‘away and a danger’ after a Silva through ball carved the Fulham defence apart, and the diminutive Spanish winger slammed the ball home from an acute angle. Five minutes later and Milner continued his rich vein of form, slotting home a sensational outside of the left foot Negredo cross to secure the points. Breathtaking stuff, so roll on Boxing Day and see if City – minus the Argentine duo of Sergio and Pablo – can make it nine out of nine home wins over a Liverpool side, shorn of Gerrard and Sturridge. It promises to be a cracker, especially with the loudest ever rendition of the ‘Yaya-Kolo’ song! If Pellegrini can craft 19 out of 21 PL points in a month and take City to the PL summit, then surely the doubting Thomas’ among the City faithful will begin to trust the manager. Great read as usual , even if you do seem a little ticked off by the media / manager capaign to derail us, and yes its hard to take that Hansen chooses to lambast our Defence whilst avoiding the bigger picture. 19 point target is now a real true possibility . The best EPL goal haul is 103 , with Villa having the best in history back in 1930 with 138... Maybe the first can be eaten up but Champions of Englnd is the tag we all want . Have a Great Xmas Blues ! I have nothing against Demichelis - obviously MP has faith in him but you wouldn't put your mortgage in him and Liverpool are all about speed & movement. That said Nastasic's '3 week' absence must have just about run its course by Boxing Day? Thanks for feedback & a Happy Christmas to you & yours. I don't know why you can't just accept Hanson's in depth very professional analysis! I saw a comment that Lescott didn't train on Thursday and Friday, but nothing appeared to be mentioned at the press conference on Friday, so I'm none the wiser, but it may explain why he didn't feature yesterday. A good win, but I'd just like us, when in a commanding position like we were, to see out the game 2 or 3 nil, but it wasn't to be at Craven Cottage. Interesting game coming up against Liverpool.....for all their ability, I think they maybe more wary of us than we of them. We'll see. Absolutely Graham - we have to stop Suarez. They have to stop Negredo, Silva, Navas, Nasri, Yaya, Milner and errr Dzeko! I must try harder and convert 'quite' into 'very' . As ever thanks for reading & commenting & hope you have a really great Xmas. Same as you Doug - would rather win 5-3 than 2-0 - hell it's entertaining albeit nerve jangling. THANKYOU very much for your support. Happy Christmas fella. Just a few thoughts on the match...trying not to be churlish after a 4-2 win but it was interesting to see how we completely overran Fulham once we went to 4-2-3-1....a formation he probably should have started with given the imbalance of his defence....left-footed rightback and rightfooted left centre half. Demechelis.....well he's the manager's man but his positional sense for the first Fulham goal was worrying. I understand pressing high but having your left centre half nearer to the outside right position in the opposing half is taking high pressing game to a new level. Kompany was the only defender in the city half when Fulham won the ball from Silva....it was a worrying sight to see both Demechelis and Kolarov chasing in vain! Wholeheartedly endorse all your sentiments Mike. Mangala and Shaw in January would be excellent presents - albeit not until January at the earliest. I'll settle for nothing to unwrap on Christmas Day if we can unwrap Liverpool's defence on Boxing Day night and edge closer to top slot. Terrific read as always.Hansen's comments have long since become a joke on MOTD especially now that he ( not me ) must think that Liverpool have a chance of the title.Most of the pundits on MOTD feel they have to focus on the goals we concede rather than the shed load we score.Wouldn't be surprised if they finish up nominating Vinnie's OG as goal of the season.Must say that I quite like Demichellis for all his faults.For me he looks more comfortable on the ball ( most of the time ) than Lescott & links up with midfield better. Was intruiged to see that Guidetti was on the bench again.Are we going to be seeing him soon ? Best wishes to you for Christmas & New Year.Look forward to reading more of your match winning reports on our way to the title & cups success. Many thanks for taking the time to comment so comprehensively - I can see what you're saying about MD & JL is by no means ideal. I hope we buy Mangala from Porto in Jan & Luke Shaw from Sourhampton - THEN we have much better chance of winning the PL - if not the CL. Hell, we'll give it a go but I think the CL May have to wait until 2015. Arty S - forgive me #MCFCBLUEBROS - Happy Christmas! I notice we improved as soon as Dzeko was withdrawn. Every time he plays I get a sinking feeling. He simply isn't good enough to play a leading role in a team that is challenging to win the PL and advance realistically in the CL. I'd rather see Guidetti or Jovetic (if he's injury free yet) get a chance. Dzeko's first touch is lousy and he's out of tune with the rest of the team. I wasn't fooled by his performance against Bayern, both his goals were tap ins and his general play wasn't as bad as usual but the trouble is with Dzeko people are so used to a low standard of play that they praise him when he's not abysmal. If Negredo put in the kind of performance Dzeko does on a "good day" we'd all be saying what a bad game he'd had. If we really want to join the elite we aren't going to do it with the likes of Dzeko. I've seen him play in so many matches and score a goal or two but I also remember the easy chances he misses game after game. I've seen him miss two penalties which is poor for a striker. There was one missed in pre season and I think the other one v Arsenal a while ago. I wouldn't disagree with a word - sadly Edin is just too profligate for where we want to be heading this year & in seasons to come. Thanks for reading & commenting. Happy Christmas! We must accept that everyone, and I mean everyone is going to jump onto the bandwagon and slag City off, Morinho, Hansen, Rogers et al. This is a backhanded compliment, just as we go into battle on Boxing Day against the media darlings, Rogers & Suarez. Having smashed Arsenal, Spurs & the swamp dwellers, the scousers are next to feel the might of the City goal machine. We must ignore these feeble attempts to undermine City, as Millwall are proud to sing 'nobody likes us and we don't care', this must be our mantra, f******* ignore the twats! KTF. Siege mentality - absolutely! Sandbags at the ready...our detractors will need plenty with City's flood of goals continuing! David, I'll start by wishing you a very Merry Christmas too. Was another good win and I thought Hart made a couple of excellent saves, showing us why he is City's and England's number 1. A lot of City fans are getting very worried about Suarez and Liverpool, lets hope Liverpool are equally concerned about us. The Arsenal/Chelsea result was a bonus, so it is now down to City to keep up the whirlwind performances and try and pull away from the pack. We just have to hope MP doesn't win manger of the month, it often spells trouble. As ever, come on Blues. I see what you did there - MP 'manger of the month' let's hope Jesus helps us remain stable on Boxing Day Night ! Cheers Carl - Happy Christmas mate! 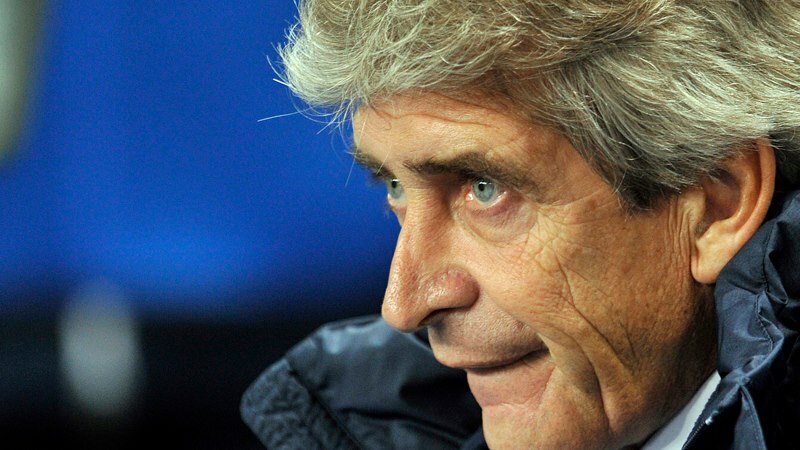 150 MAN CITY v MAN UTD - It's the derby...Pellegrini and Moyes - thoroughbred or donkey?